What Is A ‘Dead Leg’? 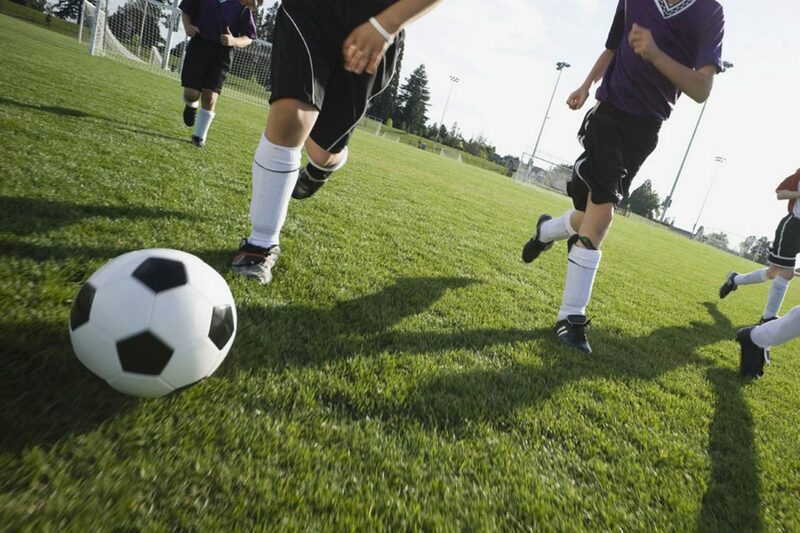 A dead leg can be extremely painful and is a frequent injury in contact sports. A dead leg can also be known as quadriceps contusion, cork thigh, corky, and quadriceps haemorrhage. It is reasonably common in fast moving sports involving some form of contact, for example football, rugby, shinty, hockey, or basketball. What Causes a Dead Leg? A dead leg is an injury caused by a numbing blow to the casualty’s upper leg. Often caused by another player’s knee, but can also be through contact with a hockey stick or other hard object. Heavy impact to the quadricep causes the muscle to be crushed against the femur bone. This causes a tearing of the muscle within the sheath that surrounds it. The muscle hurts at point of impact and is usually accompanied by tingling or numbness in the leg. This numbness is what gives the name ‘a dead leg’. bruising and sometimes restricted movement are other signs to look out for. There are three grades of severity for dead leg. Of these, the most commonly experienced, are grade 1 mild contusions, but they can be a lot more serious. With Grade 1 contusions, the casualty will feel tightness in the thigh, and the injury site may be sore to touch. There is unlikely to be much swelling. The casualty will still have nearly a full range of motion when stretching the muscle. They shouldn’t have any problem weight-bearing, but may walk with a limp. A Grade 2 contusion will mean that the casualty is unlikely to be able to walk properly. Possible swelling and straightening the leg against resistance produces pain. The casualty will not be comfortable weight-bearing on the injured leg. Touching the injury site will cause pain. Grade 3 contusions mean the casualty will be unlikely to be able to walk without the aid of crutches. They will be in severe pain and significant swelling will appear immediately. Contracting the muscle may produce a visible bulge or gap in the muscle. There is likely to be a significant loss of motion in the knee. Because the muscle has been damaged, it is important not to return to activity too soon. Rather, concentrate on rest and healing, especially for Grade 2 and Grade 3 injuries. It is also important that the casualty is fully assessed for further underlying damage to the bone in the case of more significant injuries. This will involve a visit to the hospital or minor injuries clinic. And an X-ray, or other scans may be advised. If at any stage the injury signs or symptoms become worse, immediate medical attention should be sought. For example if there is an increase in pain, swelling or numbness. The R.I.C.E. treatment method remains the most efficient first aid technique for many types of sports injury, including the dead leg. Our RICE blog explains the process in more detail. Avoiding further damage through ceasing play or activity is the first step, and is an important one. This also allows time for a proper assessment of the injury, away from the pressure of a continuing game. Ice (cooling) applications should take place during the first 72 hours after the injury. 15-minute sessions with a break of 2-3 hours between applications. Light, comfortable compression can help by limiting the swelling, but this should be removed or loosened if it is causing further pain. Lightly stretching the muscle can also help. This can be achieved by maintaining a slight bend in the knee, in the case of a thigh injury. Elevating the injury will also help with reducing swelling. In the case of grade 1 dead leg, stretching will be included in the recovery programme within a few days. Starting with light stretches, paying attention to the response of the body. One sign that the casualty is ready to move on to more difficult exercises is the ability to bend the knee to 90 degrees without any pain or tightness in the upper leg muscles. At this point a physician or physiotherapist will prescribe a more detailed rehabilitation programme. The casualty should not return to play until full range of motion and strength is regained. This may take several weeks, or even months in the case of severe contusions. It is important to be patient in this process as with most injury recovery. Excessive stress on the injured muscle before it is fully healed can cause longer lasting damage. For a pitch side assessment of a mild contusion or dead leg, the SALTAPS protocol can be very helpful. This will help you assess strength and mobility immediately. Contact us for more information or view our upcoming sports first aid courses by clicking here. 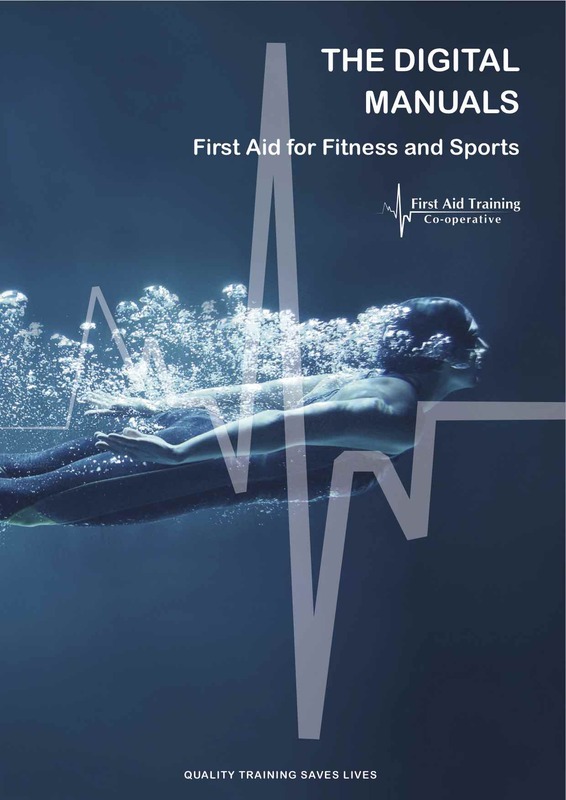 You may also be interested in our Digital Sports First Aid manual. 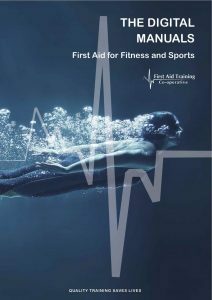 The manual is free for anyone who books on one of our first aid courses, or can be purchased here. It can be downloaded to your hand held tablet or phone and includes links to a large video library demonstrating first aid techniques like CPR and injury management. What is a trauma injury?